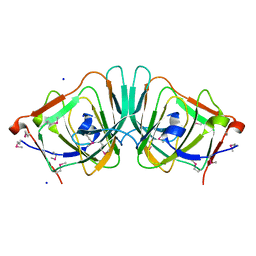 CRYSTAL STRUCTURE OF ORF52 FROM MURID HERPESVIRUS 4 (MUHV-4) (MURINE GAMMAHERPESVIRUS 68). 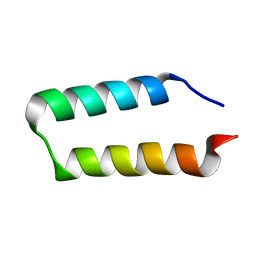 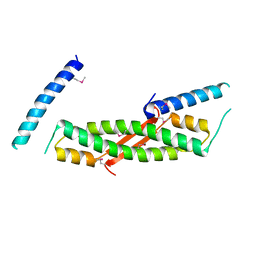 NORTHEAST STRUCTURAL GENOMICS CONSORTIUM TARGET MHR28B. 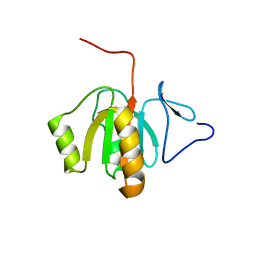 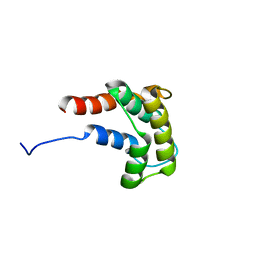 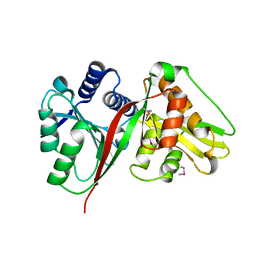 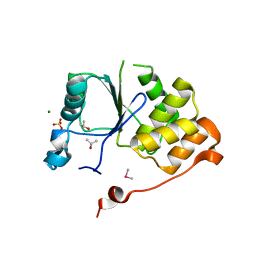 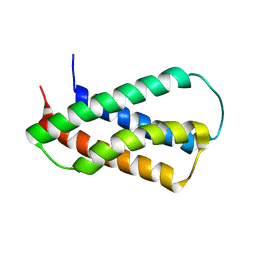 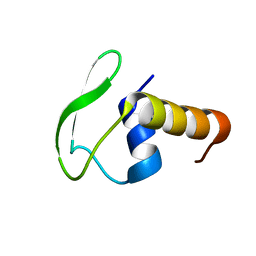 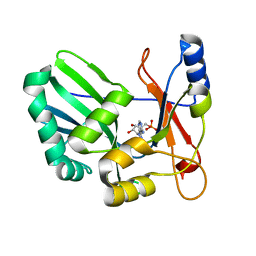 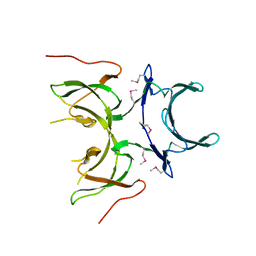 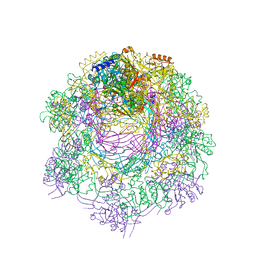 Cite: Crystal structure of ORF52 from Murid herpesvirus 4 (MuHV-4) (Murine gammaherpesvirus 68). 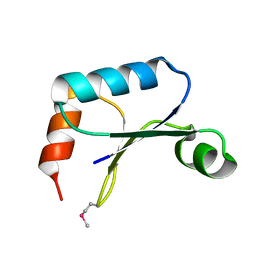 Northeast Structural Genomics Consortium target MhR28B. 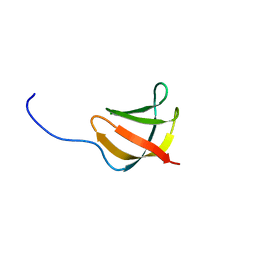 SOLUTION NMR STRUCTURE OF THE YDFO PROTEIN FROM ESCHERICHIA COLI. 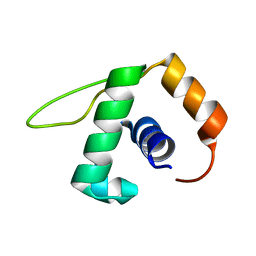 NORTHEAST STRUCTURAL GENOMICS TARGET ER251. 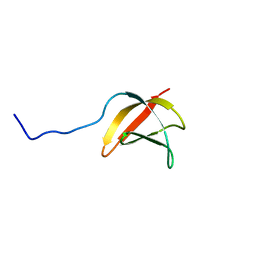 Cite: Solution NMR structure of the ydfO protein from Escherichia coli. 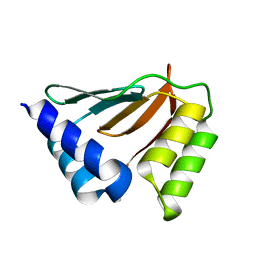 Northeast Structural Genomics target ER251. 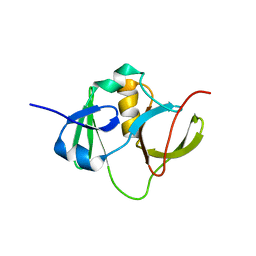 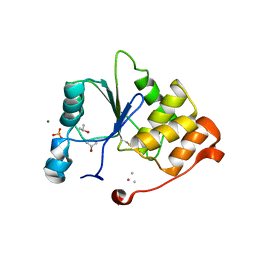 Cite: Solution NMR structure of the C-terminal domain of the interferon alpha-inducible ISG15 protein from Homo sapiens. 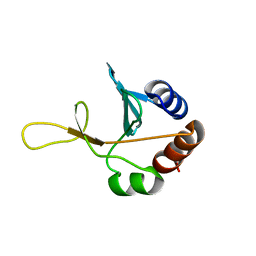 Northeast Structural Genomics target HR2873B. 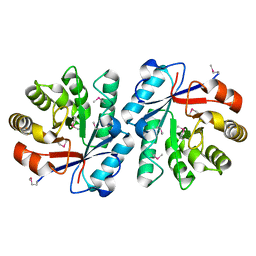 X-RAY CRYSTAL STRUCTURE OF PROTEIN YOPX FROM BACILLUS SUBTILIS. 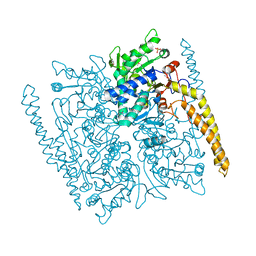 NORTHEAST STRUCTURAL GENOMICS CONSORTIUM TARGET SR411. 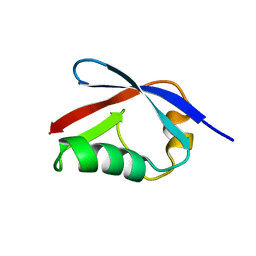 SOLUTION NMR STRUCTURE OF Q8ZRJ2 FROM SALMONELLA TYPHIMURIUM. 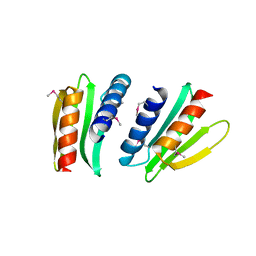 NORTHEAST STRUCTURAL GENOMICS TARGET STR65. 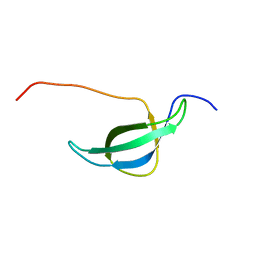 Cite: Solution NMR structure of Q8ZRJ2 from Salmonella typhimurium. 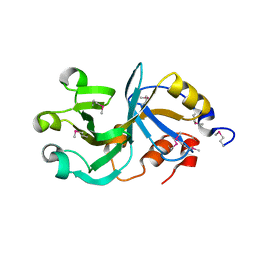 Northeast Structural Genomics target StR65.